Cost: $6 for 4.7 oz. We have used this spice for 20 years and would be lost without it. It is the greatest on meats. Makes popcorn a real treat for a change of flavor. 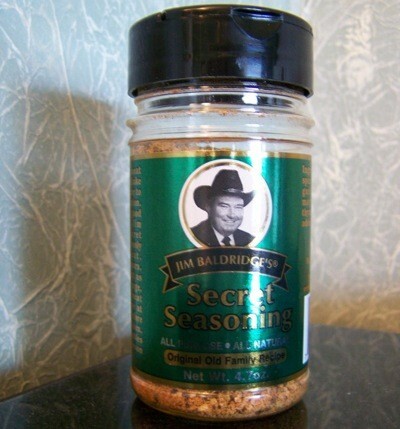 We were given our first Baldridge Seasoning by the original makers before they went commercial and have shared it with many friends and family through the years. They have recipes and suggestions on the site. You can order directly from them also.